Bulawayo24 NEWS | 'SADC must listen to MDC' Chamisa cried - Why, have you ever listened to anyone? "OPPOSITION MDC leader Nelson Chamisa, who recently embarked on a regional diplomatic offensive to sound SADC leaders on Zimbabwe's worsening political and economic crisis, has pleaded with the bloc to heed his party's distress call," reported Bulawayo24. The trouble with you, Chamisa, and your MDC A friends is that you do not listen to reason. Have you read and understood the EU Zimbabwe Election Observer Mission report? "The final results as announced by the Electoral Commission contained numerous errors and lacked adequate traceability, transparency and verifiability. Finally, the restrictions on political freedoms, the excessive use of force by security forces and abuses of human rights in the post-election period undermined the corresponding positive aspects during the pre-election campaign. As such, many aspects of the 2018 elections in Zimbabwe failed to meet international standards," stated the EU report. The EU have refused to endorse Mnangagwa's claim as the winner of last year's elections because the election process "failed to meet international standards" because of the glaring flaws and illegalities stated above. Mr Mnangagwa and his Zanu PF regime claim that they have the mandate to govern, that is just nonsense because the electoral process was flawed and illegal. The Zanu PF regime is illegitimate, period. You, Mr Nelson Chamisa, claim that you won last year's elections, the same elections with the same glaring flaws and illegalities. You had the opportunity to produce documentary evidence; the V11 forms summary of the vote count at each polling station, for example; to back you claim of the votes you received. You failed to produce the documentary evidence. So you claim to be the winner of the presidential race is just as hollow and nonsensical as Mnangagwa's claim. SADC leaders have a headache of Mnangagwa claiming to be legitimate when they know that he is not. The regional leaders must know by now that the root cause of Zimbabwe's worsening economic meltdown is the country being stuck with a corrupt, incompetent and tyrannical Zanu PF dictatorship for 38 years and counting. If they thought endorsing Mnangagwa's victory would solve anything they were wrong and the economic reality of the worsening economic situation say it all. SADC leaders are scratching their heads as to how they are going to tell Mnangagwa and his junta that they are illegitimate and must step down. The leaders know as long as Zanu PF remains in power there is no hope of a meaningful economic recovery. None! SADC leaders know Chamisa and his hare-brain claim to be the winner of the flawed and illegal election and proposal for interparty dialogue with Zanu PF is a waste of time. Even listening to Chamisa's nonsensical claim will only encourage the upstart to believe he has a legitimate claim to power, only to tell that he and his MDC Alliance friend must step down too. Why bother listening to the upstart in the first place! When it was clear that MDC leaders had failed to implement even one democratic reform at the end of the 2008 to 2013 GNU SADC leaders deserted MDC leaders in droves in disgust. Ever since MDC leaders have done nothing to redeem themselves, they did not even have the common sense to demand that ZEC must produce a verified voters' roll before last year's elections. "We feel that there has been an attempt on the part of SADC, the chairperson of SADC, the President of Namibia [Hage Heingob], to listen to one side. We feel that in order to have a perfect picture of what is happening in Zimbabwe, you must have a perspective from both sides. 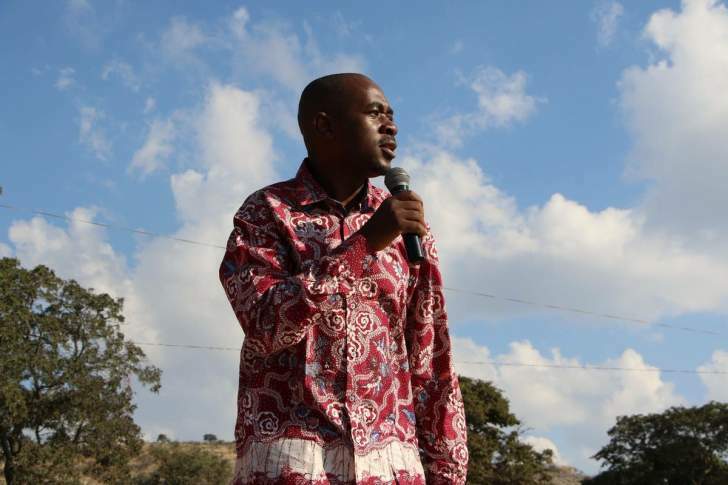 They must also listen to the MDC and not just Zanu-PF," said Nelson Chamisa. The one thing Chamisa is after is a seat on the gravy train. He and his MDC Alliance friends are hoping that the country will end up with yet another GNU in which they will once again be allocated a ministerial position complete with the limo, generous salary and allowance, etc. Chamisa had made implementing democratic one of his demands. This is just lip service. He and his MDC friends failed to get even one reform implemented in five years during the last GNU it is naïve to believe they will do so now! A new GNU involving Zanu PF and MDC will be a repeat of the 2008 GNU, it will never implement any meaningful reforms. The political and economic situation in Zimbabwe is critical and it demands a solution and not another gimmick. Zimbabwe needs an interim administration that will implement the democratic reforms fully and deliver free, fair and credible elections, guaranteed. Mnangagwa and his Zanu PF junta must step down to create the political space for the new administration. As for Nelson Chamisa and his MDC friends, ignore them. They are corrupt, incompetent and sell-out. They are only fishing for gravy train seats and another chance to sell-out! Zimbabwe would not be in the political and economic mess we are in today if they had not wasted the many golden opportunities to implement the democratic reforms.